The year-round hot and humid climate of southwestern Sri Lanka, makes the ideal climate for growing some varieties of orchids, while the dry and cool climates of the central highlands make other varieties thrive, thus making the whole island, except perhaps the dry north eastern sector, one large nursery for many varieties of this exotic bloom. Originally started as a hobby by the "idle rich," growing orchids, now is a money making hobby for anybody with a green thumb. As the world demand for exotic flowers gets more intense, Sri Lanka seems to be in an enviable position to supply that demand, and earn foreign exchange too. 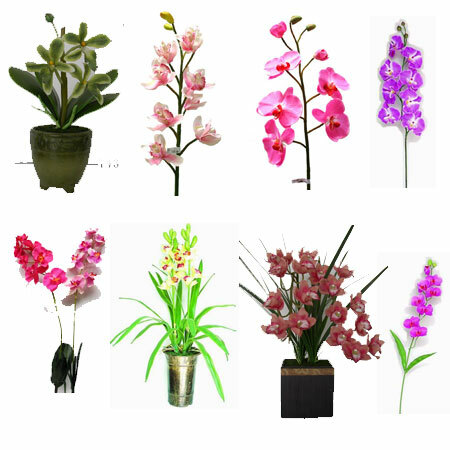 Shown here are some of the more common varieties of orchid. Since many orchid varieties lack alluring scents to attract life-giving bees and other insects to aid in pollination, they depend on their profusion of colors to lure these insects. Thus, in good nursery one can find orchids of just about any color of the rainbow.